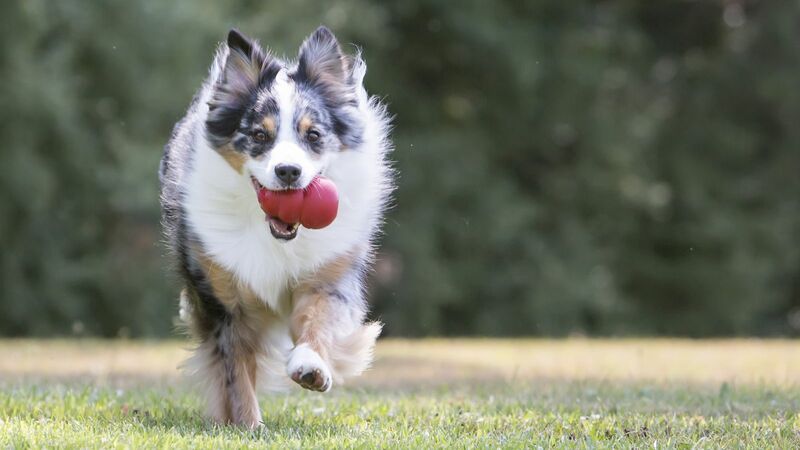 The KONG Classic was developed over forty years ago and has become the world’s most popular dog toy. 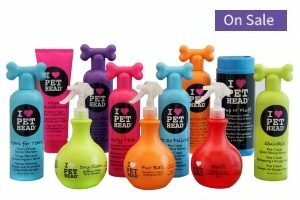 It is recommended by veterinarians, trainers and dog owners worldwide. 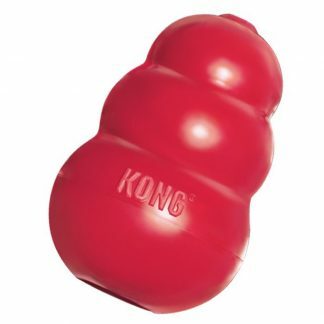 Made from a unique, ultra-durable, all-natural red rubber formula, the KONG Classic fulfills three important roles. 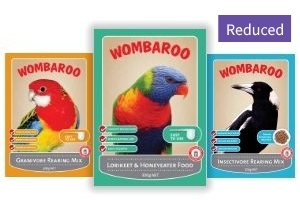 It has an erratic, unpredictable bounce making it an exciting play toy; is an ideal chew toy, and is a treat dispenser that can be stuffed with all manner of treats. KONG Classics can be frozen. To provide a long lasting, mentally stimulating and cooling chew on a hot summer’s day, fill the toy with soft, wet treats and freeze. 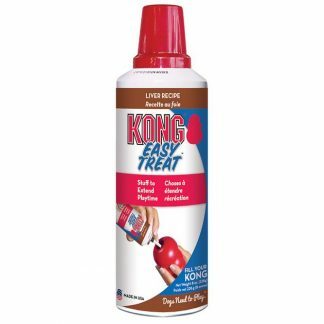 KONG Classics are dishwasher safe and so can always be kept hygienically clean. The Classic shape comes in degrees of rubber hardness and in various sizes. 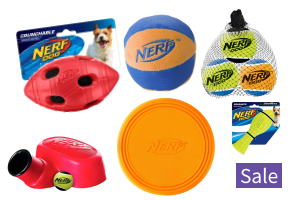 For your dog to gain the most enjoyment, it is important that you choose the appropriate rubber hardness to suit its chewing ability and that the toy is the right size. 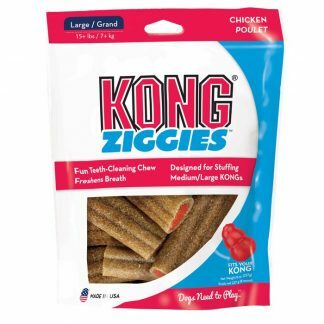 The red KONG Classic is for average chewers. Dogs that love to play with all kinds of toys and will often carry toys around with them. Plush and fabric toys are likely to be destroyed, but a Red Classic will make an ideal plaything. Dogs tend to have their adult teeth set at about six to seven months. Until this time, teeth and jaws are still developing, and a Puppy Kong will probably be more suitable. The Red Classic comes in five sizes to suit every size of dog. 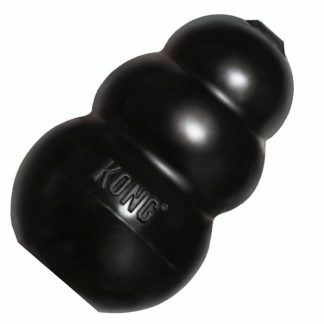 The KONG Extreme is essentially a hard, black coloured Classic for power chewers. 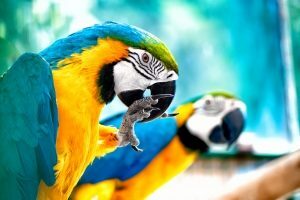 Usually, such dogs are strong, determined chewers and require toys made from the most durable materials. Whilst jaws and teeth are still developing, up to the age of about six to seven months, a Puppy Kong will be more suitable. 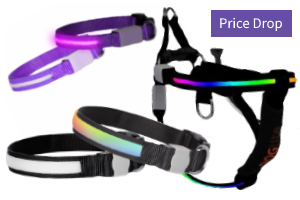 The Extreme comes in five sizes to suit every size of dog. 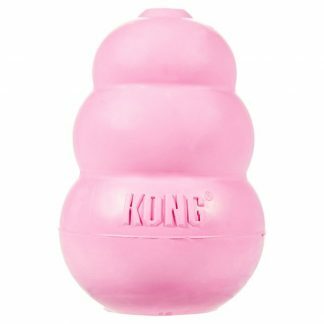 The KONG Puppy is made from soft rubber and will help promote healthy jaw development, whilst providing teething relief. 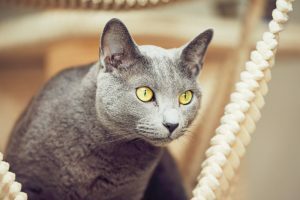 It is designed to be resistant to a puppy’s needle-sharp teeth. Like humans, dogs have two sets of teeth in their lives. Puppy teeth come between three and six weeks after birth and begin to be replaced by permanent adult teeth after about four months. This teething period can be painful. To ease the discomfort, puppies will want to chew. The Puppy Kong will help establish healthy chewing habits, will be gentle on growing teeth and jaws and will help promote the entry of growing teeth. 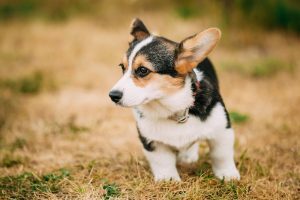 Once adult teeth are fully set, after about six to seven months, you should introduce your dog to the Red Classic, or Black Extreme, depending on their chewing style. The Puppy Kong comes in three sizes.